View more about Shoreline OBX, LLC. 2 Powder rooms! Top and Ground Levels! we were only able to stay 2 days due to hurricane florence. we wondering if their would be any refund as a show of good faith. a shower door was broken, no garbage pick up ran out of gas for grill. Thanks for reaching out! Hurricane Florence threw a monkey wrench in everyone's plans, and we highly recommend travel insurance to help compensate for those unforeseen events. Great vacation!! Overall house is nice. Could be cleaner and furniture and appliance updated. Much Same furniture as our stay 13 years ago. Microwave didn't always work right. Poor supply of cooking pans. Beach here is awesome not crowded at all since vacant lots adjacent. A lot of steps to get to beach. 30 steps up and 34 down to get over dunes. Pool is great. Bedrooms and bathrooms good for extended family. Most bathrooms very nice. Elevator great for grandparents especially after steps over dunes. 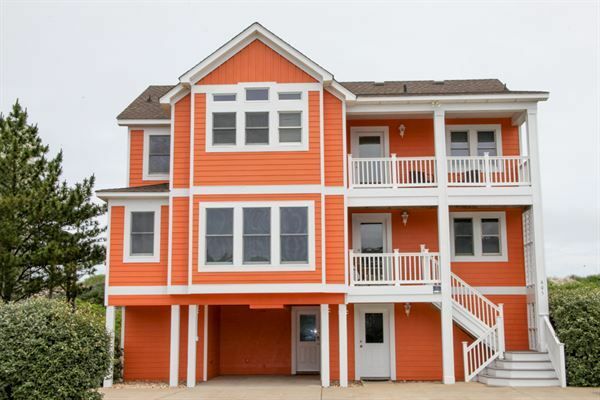 This is my 3rd Rental property from Shoreline OBX. Overall our vacation experience was great since it allows us to all get together for a week. However, the property didn't turn out to be as advertised. The walk way to the beach was very strenuous for older folks and the property had several issues including: non working TV's, plugged drains around the pool area, outside shower did not function, grill was a fire hazard, outside speakers did not work, upstairs fan did not work, furniture / carpet is in need of replacement, sliding glass doors did not function properly, pool area was rather dirty, outside furniture was cheap and / or falling apart, had to buy new kitchen frying pans since the once at the house were burnt up, stove fan knob was missing and overall the property was in need of a thorough cleaning. I would not rent this house again.